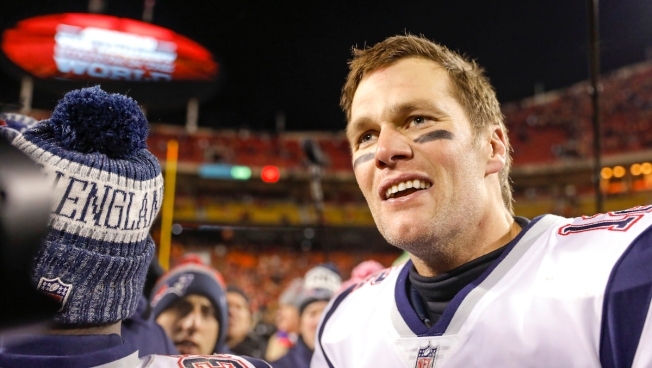 Quarterback Tom Brady #12 of the New England Patriots smiles following the Patriots' 37-31 overtime win in the AFC Championship Game against the Kansas City Chiefs at Arrowhead Stadium on January 20, 2019 in Kansas City, Missouri. Ace Davis, a fifth-grader at Millcreek Elementary School in Lexington, engineered a winning science fair project by answering the question that fans of 31 NFL teams already know the answer to: "Is Tom Brady a cheater?" NBC News reports Davis and his family inflated footballs at various levels of pressure per square inch (PSI) and found that they threw them with greater accuracy at lower measures. "Tom Brady's a cheater and don't trust anybody!" Ace told NBC News.